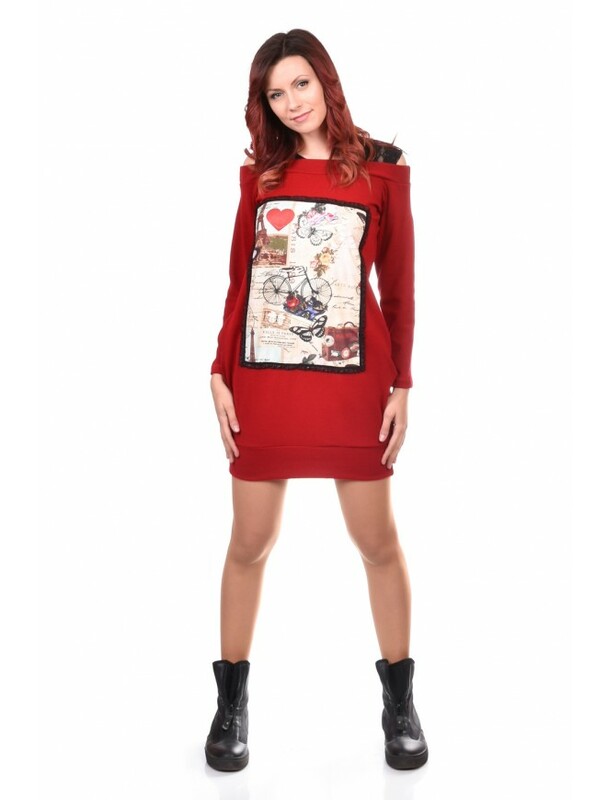 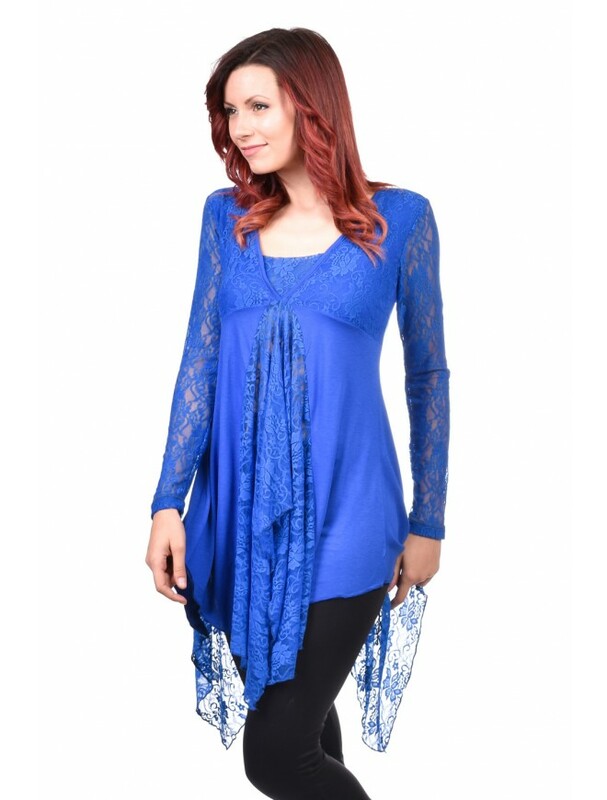 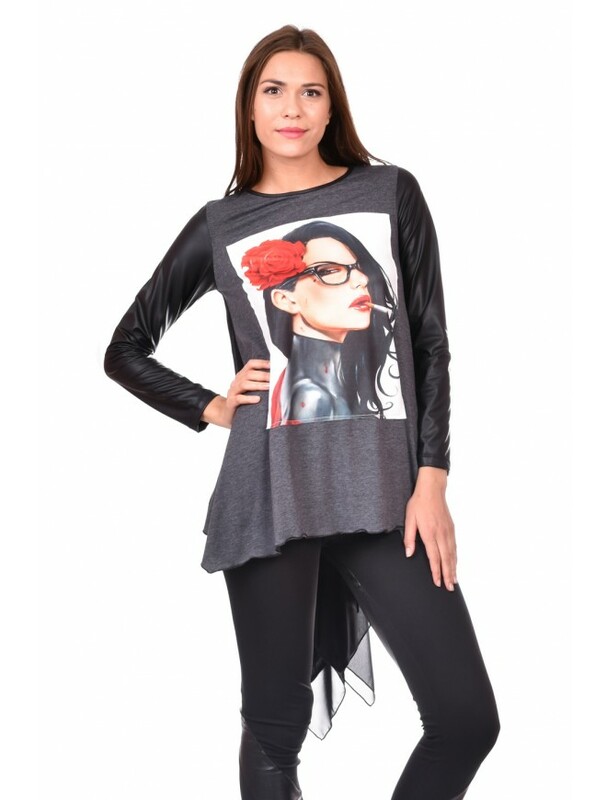 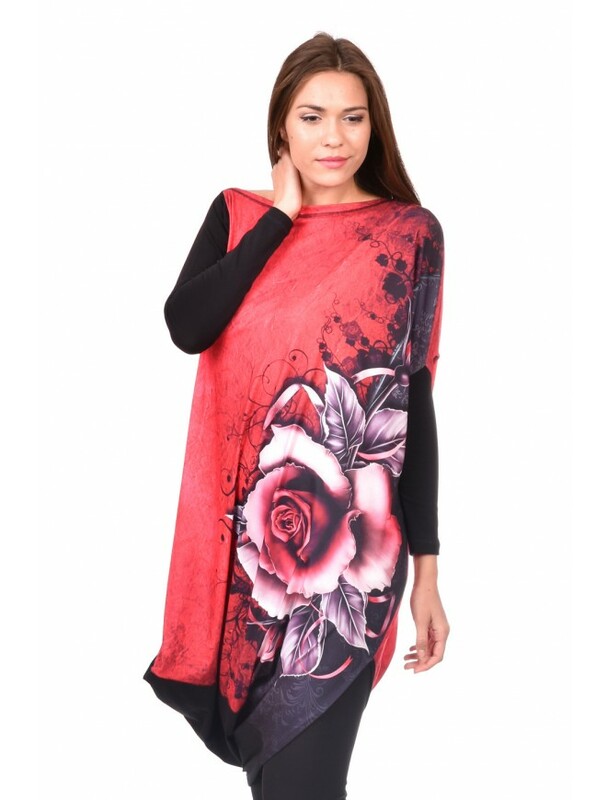 Stylish ladies tunic. 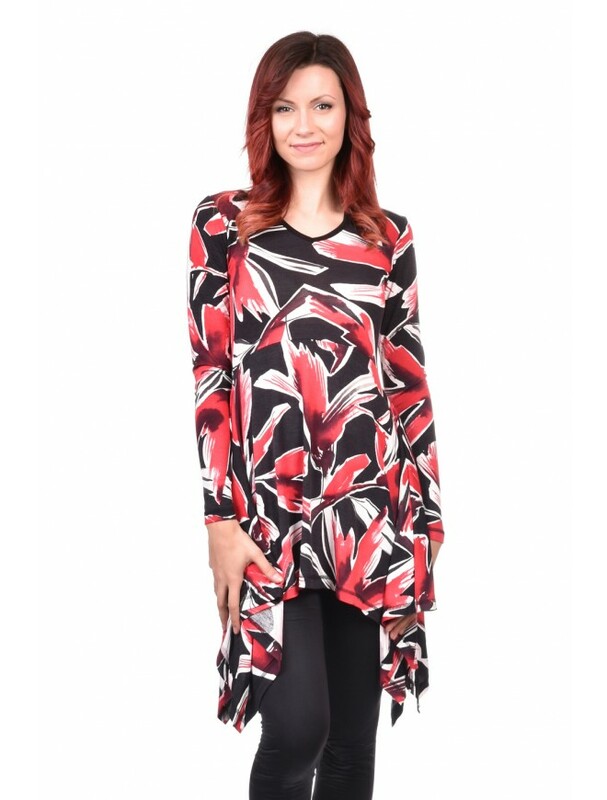 The tunic is black around the neck is a very interesting element that makes the design of this tunic modern. 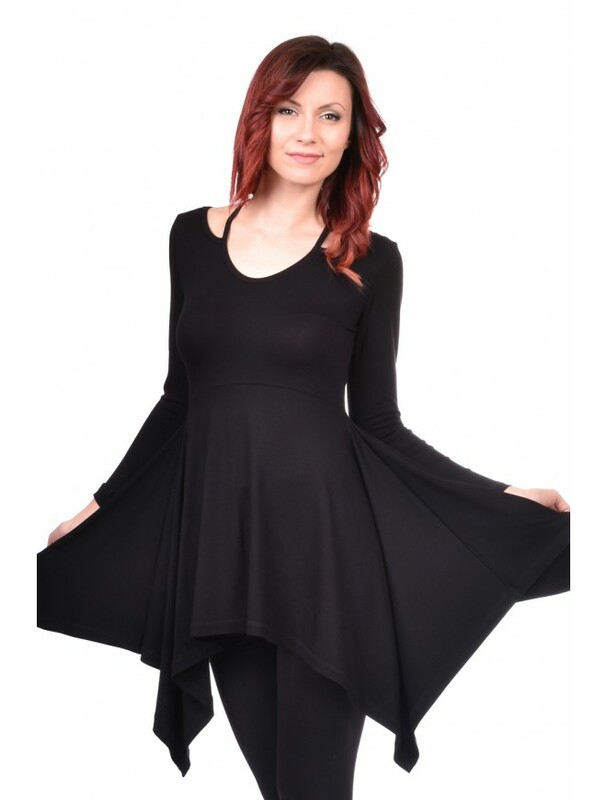 The front has two pockets.